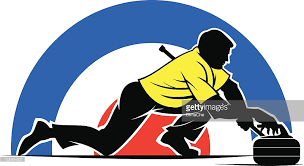 Our local curling club will be hosting a Ladies Open Bonspiel on Friday January 19, 2018 to Sunday January 21, 2018 in Sylvan Lake, Alberta. We anticipate to attract a minimum of 16 teams (64 Curlers) and are capable to host up to a maximum of 32 teams (128 curlers). As Sylvan Lake has unfortunately been without a curling rink for these past three years due to unforeseen circumstances, our club is trying to encourage the participation for this wonderful sport within our community once again. We are asking local businesses and individuals to possibly support our event this year with a prize to a player, gift card, discount or coupon, cash donation or a sponsorship donation towards an event within the bonspiel (such as a raffle prize or an “eye opener” beverage). If you have any questions, please call the undersigned below. If you wish to donate, we will be happy to pick up your donation. In addition, we ask that you leave a Company business card, with your donation so that we may give you credit for your support. Thank you for your thoughtful and generous consideration of our request. We are back! After 3 years with no arena, the Sylvan Lake Curling Club is once again holding it's annual Men's Bonspiel on January 5, 6, and 7, 2018 in the beautiful new Nexsource Center. We are looking for donations for the event and hope you will consider making a cash or prize donation. Any and all donations, no matter how big or small are greatly appreciated. We are expecting between 60 - 100 players and guests for the three day event. Please call anytime with questions, we are looking forward to your support!